VietNamNet Bridge - Before the questionable transfer pricing for tax evasion of some multinational corporations in Vietnam, a representative of the General Department of Taxation confirmed that it is no such thing as the tax authorities are powerless and they would conduct tax inspection at these companies. At the workshop on the management of transfer pricing activities in Hanoi on December 11, Mr. Nguyen Quang Tien, a senior official from the General Department of Taxation, admitted that price transfer in Vietnam is popular. "A lot of businesses are on our radar but we cannot make it public at this moment," Tien said. Transfer pricing activities usually occur in the multinational corporations which have a network of subsidiaries located in different countries. In the markets of high taxation, subsidiaries tend to declare higher costs and higher prices in order to reduce profits and vice versa. Particularly in the case of Coca Cola, recent information about this company’s signs of transfer pricing for tax evasion has appeared. Coming to Vietnam in 1993, Coca Cola has continuously invested in production expansion; its revenue growth is always strong, but the tax agency said they have not collected any coin of taxes from the company. Before Coca Cola’s report of losses over the years, Tien said the tax agency had identified signs of transfer pricing here. Tien confirmed that the agency has not inspected Coca Cola, not gives up with this firm. Coca Cola experienced tax inspection once in 2006. However, according to Tien, that time the HCM City tax office only checked its revenues, receipts, not the transfer price. Mr Tien added that not just Coca Cola but Pepsi and Metro are also targeted by the tax authorities. "The general department had detected these cases but within its resources, the agency cannot carry out inspection immediately. A transfer pricing inspection may take 1, 2 years, and even longer in Australia. 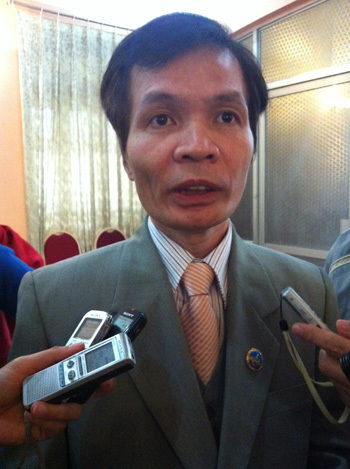 They has pursued a case for 13 years and still not succeed yet," Tien said. The tax official also revealed the case of a big firm from Taiwan. "This company operates in the field of footwear, with revenue of VND22 trillion ($1 billion), employing 80,000 and even 100,000 Vietnamese workers, but we have not collected the taxes from the firm,” Tien said. Talking to the media, Tien did not exclude the possibility that these firms have the help of audit firms. He said the tax authorities will tighten this and require auditing firms to bear higher responsibility for their works. At this workshop, Mr. Michael Palmer, an expert on transfer pricing in Australia, said in his country and around the world, multinational corporations have the participation of the leading experts on price transfer from around the world to give advice on strategies to reduce taxes.